where a1, a2, a3, and a4 are the dummy variables specified in the CROSS= option. 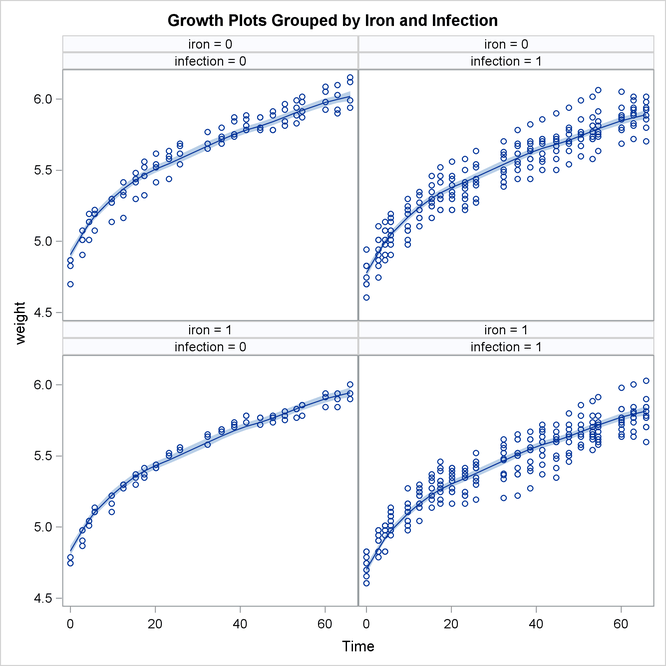 This shows that, for any given setting (say, the one for a4) is simply the corresponding trend . The model summary, shown in Output 27.4.7, reflects the increased state dimension and the increased number of parameters. 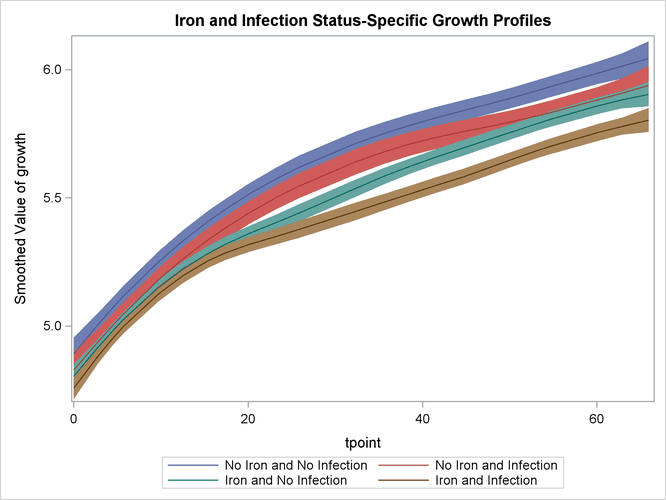 The following statements produce the graphs of smoothed for the desired settings (since the grouping variable ironInf exactly corresponds to these settings). 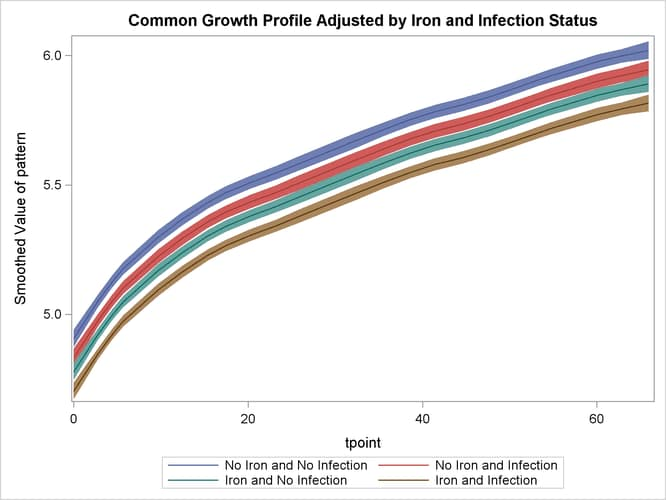 Once again, the plot in Output 27.4.9 clearly shows that the control group “No Iron and No Infection” has the best growth profile, while the worst growth profile is for the group “Iron and Infection.” However, unlike the first model, the profile curves are not merely shifted versions of a common profile.